France are up against Belgium in tomorrow’s first semifinal, while England meet Croatia the following day for a place in the World Cup final. After more than three weeks of riveting Fifa World Cup action, we are down to the last four teams in Russia. 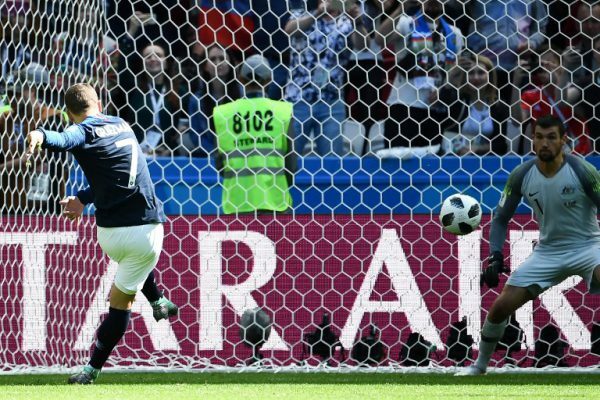 France beat two-time champions Uruguay 2-0 on Friday with a solid display against the South Americans, while Belgium upstaged five-time winners Brazil 2-1 in arguably the match of the quarterfinals. England were just too strong for Sweden, beating them 2-0 on Saturday afternoon, while Croatia broke the host nation’s hearts in a penalty shoot-out in the final match on Saturday evening to dump a brave Russia out. It has been an unpredictable World Cup with Spain, Germany, Argentina and Portugal all departing the tournament earlier than expected. Russia were the surprise package, drawing on passionate support in spite of their 70th world ranking – the lowest of all the teams competing. It means France will be looking for their first World Cup triumph since lifting the trophy in 1998, while England are looking to roll back the years and record their second World Cup victory since 1966. France have won one final and lost one, while England triumphed in their only World Cup final outing. It’s only a second World Cup semifinal appearance for both Belgium and Croatia, who settled for a fourth place finish in 1986 and 1998, respectively. Eight nations have gone on to win the World Cup since its inception in 1930. Will we have a new nation crowned champions in Russia? It all points to an exciting last week of competition and, if earlier upsets are anything to go by, we could still see a sting in the tail by the time the trophy is lifted next Sunday evening.